"Clowns, collage, and things that sparkle." 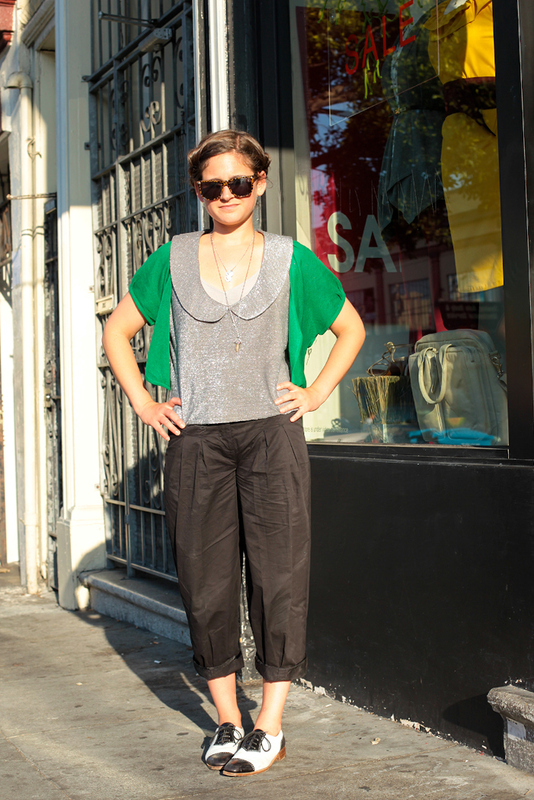 I love Corinne's outfit's silhouette: her pants have the paper bag look of the 1990s, her silver top is loosely drape-y, and her hair is up in braids. 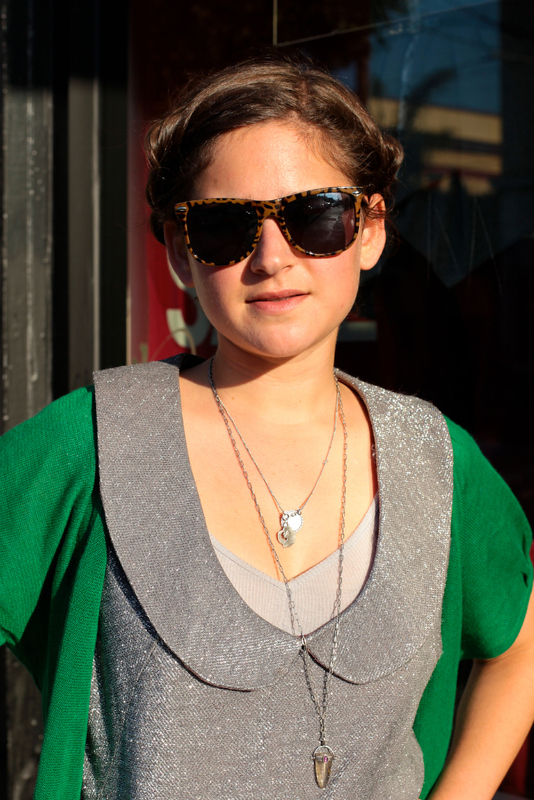 Her accessories are lovely as well: the double necklaces, her animal print sunglasses, and her shoes are all stellar. She looks great. 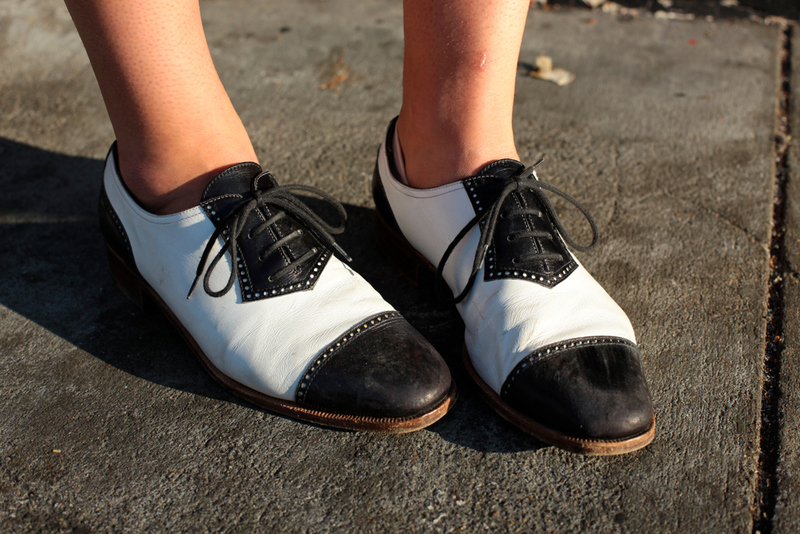 A look at her modern day saddle shoes.